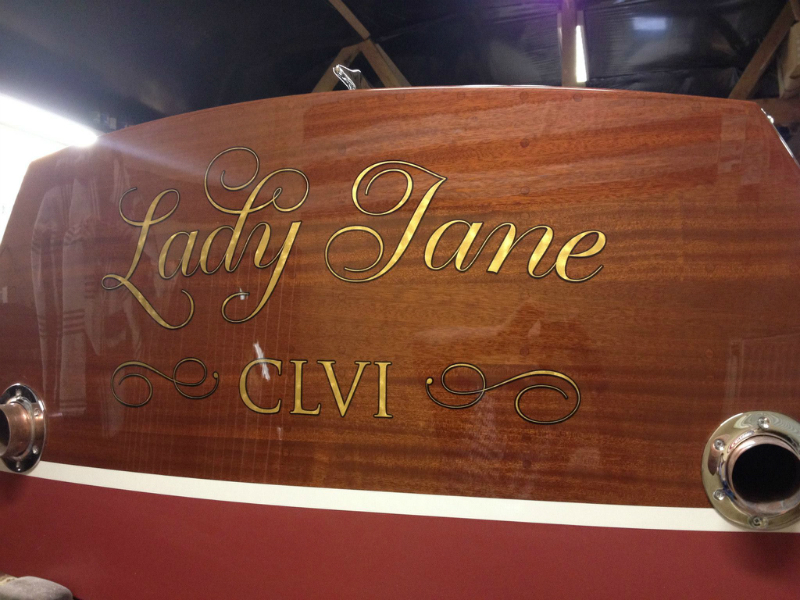 A very nice project that was prompted to carry out the icing on the cake of this long boat restoration. 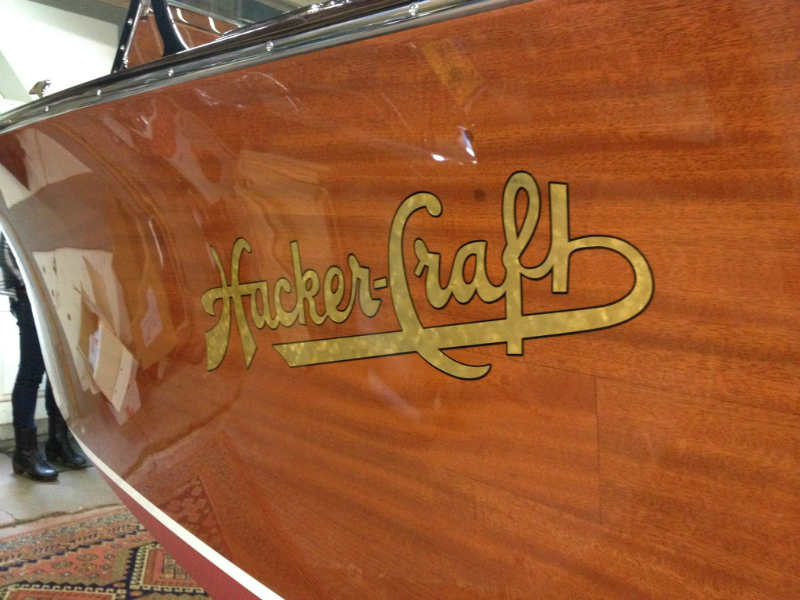 The original Hacker-Craft boats were equipped with a boat name executed in gilding with gold leaf. 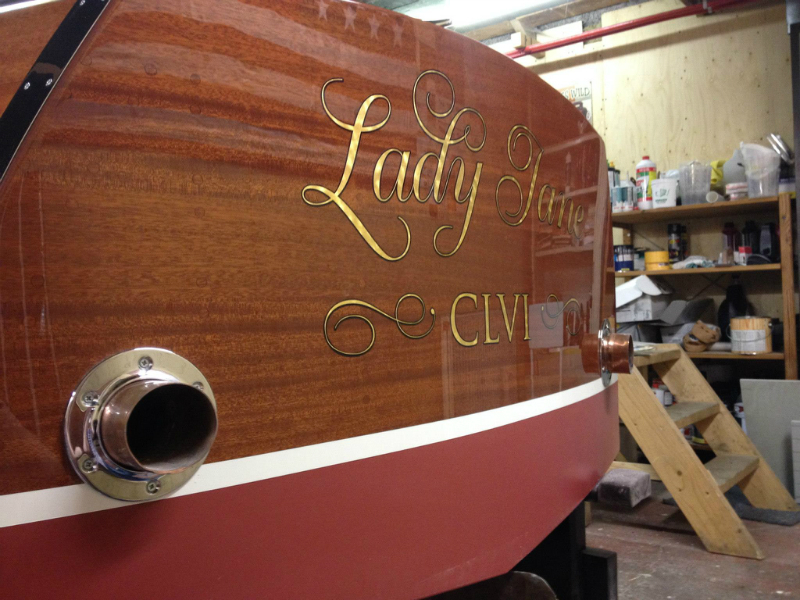 After this, this restoration had to be carried out both on the starboard side and the port side. 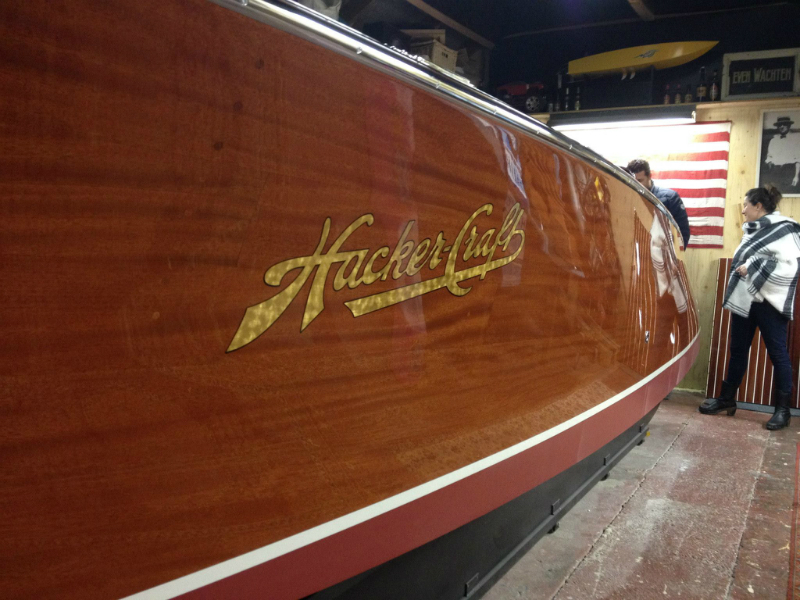 It was also the name of the boat and the mooring at the stern was carried out in pure gold. 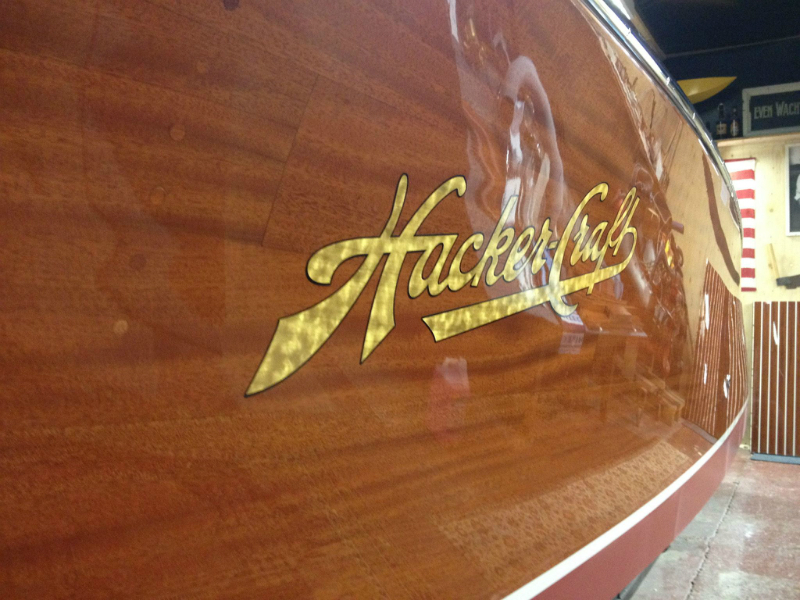 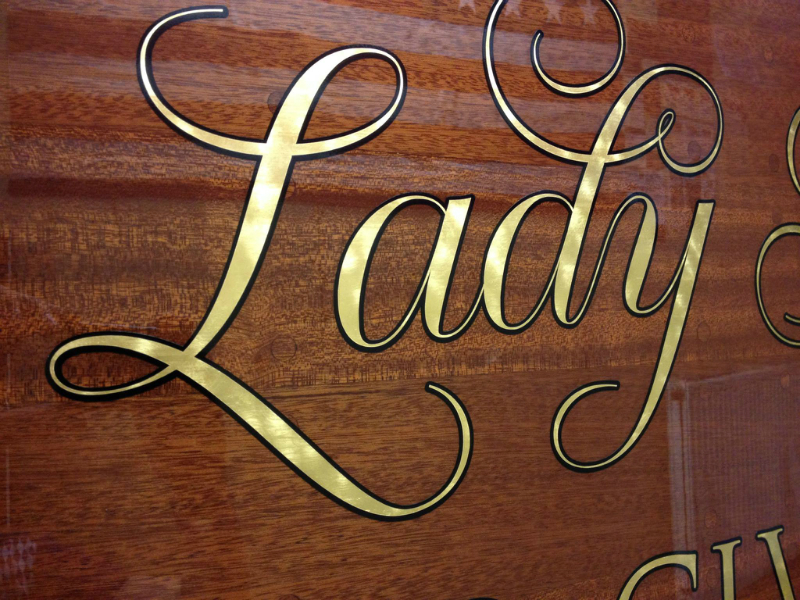 The gold plating with gold leaf can be carried out under the varnish layers, however, was at this Hacker-Craft the woodwork already put in the different layers so that the yacht varnish gilding name of the boat was applied last. 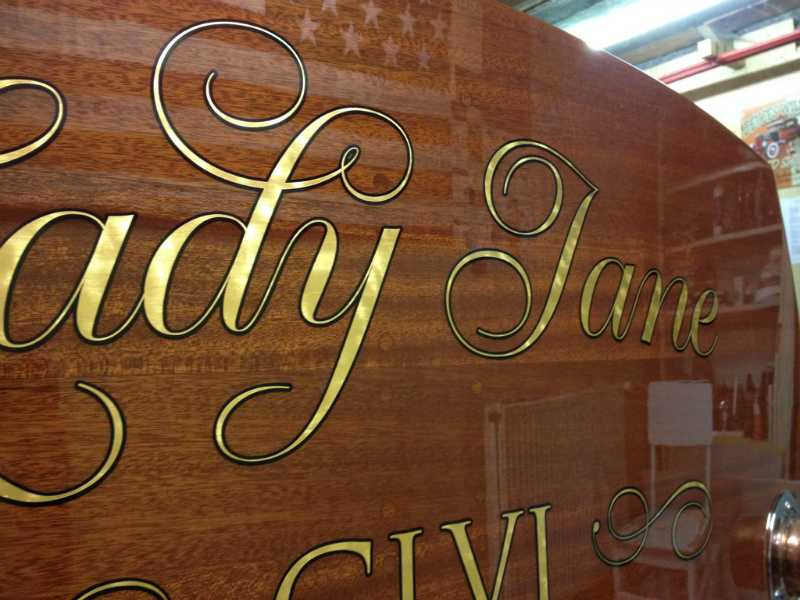 There is chosen for a design in which the gold leaf has a surface machining with thousands of scratches in circular form, allowing light to get reflected off the gold from every angle. 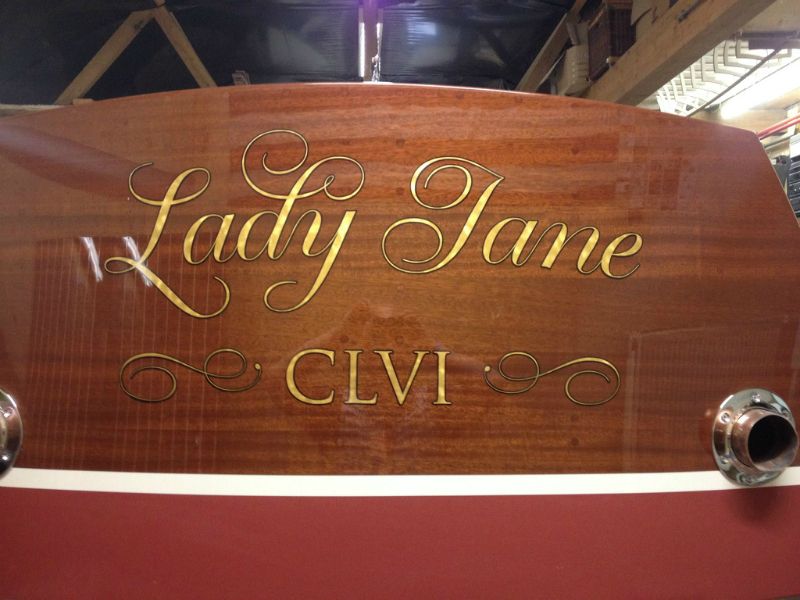 The result of the restoration can be sure being and I am proud of the fact that the icing is performed on the cake in the same high quality.